Activity at Savannah Rapids Kayak Rental has been so busy this summer that the business owners are doing something unthinkable: calling the competition. “It used to be, that first year, we’d have boats just sitting here and we just don’t have them now,” said Steve Wright, who owns the family-operated business with wife Leslie. So, when the Wrights’ 68-boat fleet is rented out, as is typical now on weekends, they call one or more kayak rental companies in the area to see if they can accommodate more customers. Located just down from the Augusta Canal Headgates, the business typically generates about 20 kayak rentals each week day, mostly from walk-up customers, and is slammed on weekends. The Wrights now encourage people to call ahead to reserve a boat, or one might not be available. The Wrights, both retired teachers, took over the business from Escape Outdoors in 2012 and have a contract with Columbia County to be the only rental kayak operator along the canal. Rates range from $20 to $30 on weekdays and from $30 to $40 on weekends. After paying to rent the kayak, customers sign a waiver, view a map and fasten on a life vest before they’re off. Trips can span down the canal, Savannah River or upstream toward Stallings Island and Betty’s Branch. A shuttle brings back kayakers for a $5 fee. Entrepreneur Cole Watkins is among the competing business owners who the Wrights contact with overflow customers. But although he operates a smaller operation, even he is finding himself booked in recent weeks. Watkins saw the potential payoff in running a kayak rental business five years ago. 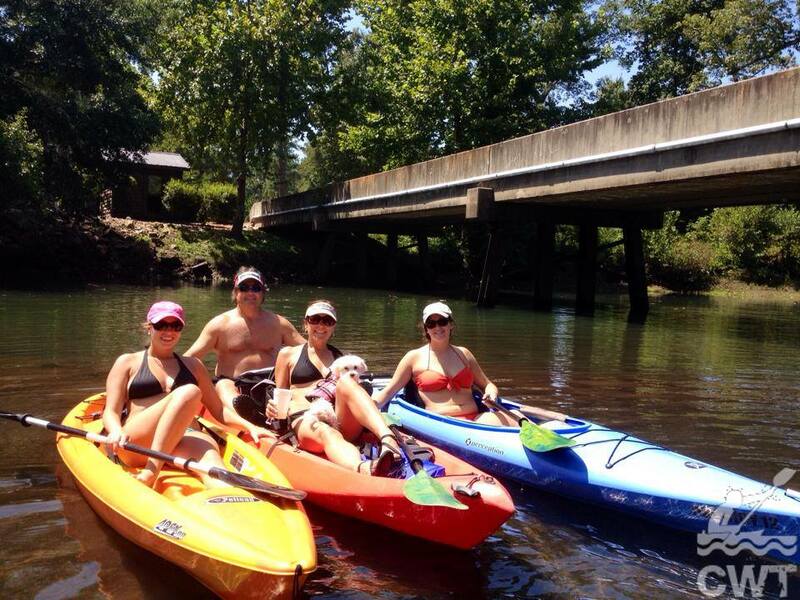 Assigned to design a successful business model as part as a class project at then Augusta State University, Watkins later launched Cole Watkins Tours in 2011 and continues to provide weekend kayak rentals and offer tours. Watkins only operates the business as a side job, but said it’s grown each year. He has seen customers from states across the country and even Mexico. Since beginning in 2011, but excluding this year, the business has netted him $21,000, and he expects to reach nearly 400 customers before finishing his fifth year. At Escape Outdoors, with locations in Evans and downtown Augusta, manager Matt Patrick has seen interest and new companies involving the paddle sport pick up in recent years. Like his competitors, Patrick said kayaks at Escape Outdoors have been rented out for the past several weekends. “The hotter it is, the more people want to get on the water,” he said.